The Wanton Bishops are a band from Lebanon with the soul and sound of America’s Deep South. While their story begins singing blues and rock in Beirut, they recently embarked on the trip of lifetime to the US where their inspiration was born. 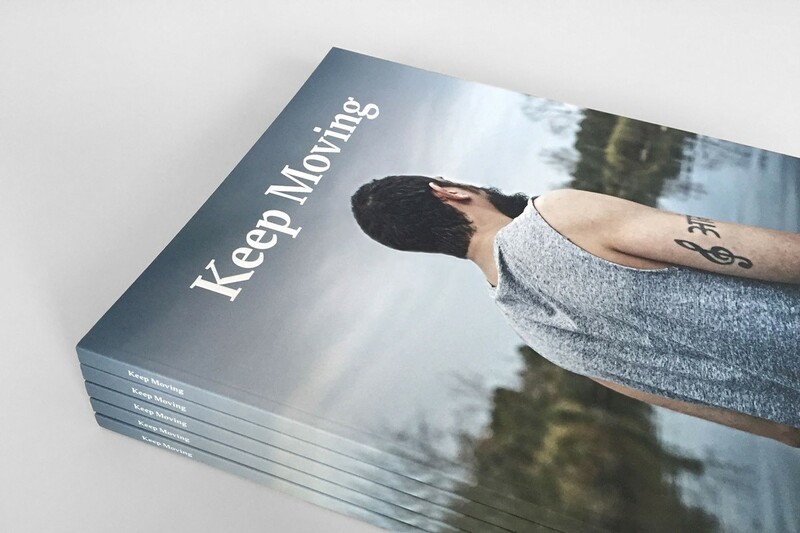 Red Bull documented their journey of musical discovery in the film Walk It Home, and A Color Bright was asked to create a printed publication. When we aren’t arguing #lunch options in Slack, we primarily design for screens, write code and help other organisations navigate the digital world. Coming from a comms background however, I still jump at any chance to whip out the Pantone swatch books and get my print on. Not that we even owned swatches at the time, but you know what they say — you can take the girl outta print, but you can’t take print outta the girl. The project kicked off with a cross-continental team: photographer Balazs Gardi in Los Angeles, writer Jane Lerner in New York, Red Bull’s constantly globe-trotting Culture Marketing team, and myself in Berlin. We would later add illustrator Ngaio Parr in Sydney, because apparently we didn’t feel there were enough time zones involved. The focus of the project was creating an extension of the film and not repeating the exact same story in a different format. It had to support the surrounding campaign and simultaneously exist as a standalone thing, showcasing the beautiful work of Balazs. In terms of the size, page count, number of copies and design direction, the brief was open. Some people might consider this winning the creative-license lottery, however one pretty important detail had been defined: the deadline was in three weeks. How do you create a book from scratch with zero copy, missing images and almost no parameters in 20 days? This is how we approached it. We quickly realised the vicious cycle of having no limitations and started making decisions to invent our own. With the emphasis on photography, we wanted the book to be as big as possible and started with defining its dimensions. I got in touch with a local printing press to find out their sheet sizes as there was no point designing a giant book if it couldn’t be printed in time — or at all for that matter. Based on this, we landed on something slightly larger than your average magazine. Balazs had joined the Bishops for parts of their travels and already had a catalogue of images to contribute. Based on the selection number, we were able to establish a rough page count of 100. Jane and I then started paginating the story structure to agree on the number of articles and word limit. This was really important as it highlighted gaps in the photography we had. She started writing, I got designing, and Balazs would later hit the road to capture the missing images. Blues is an art form born from an unspeakable struggle and we felt it was important to establish the bigger picture. We used chronological events from the film as an outline, shifting the focus from The Wanton Bishops exclusively, to the significance of the places they visited and what it means to sing the blues. 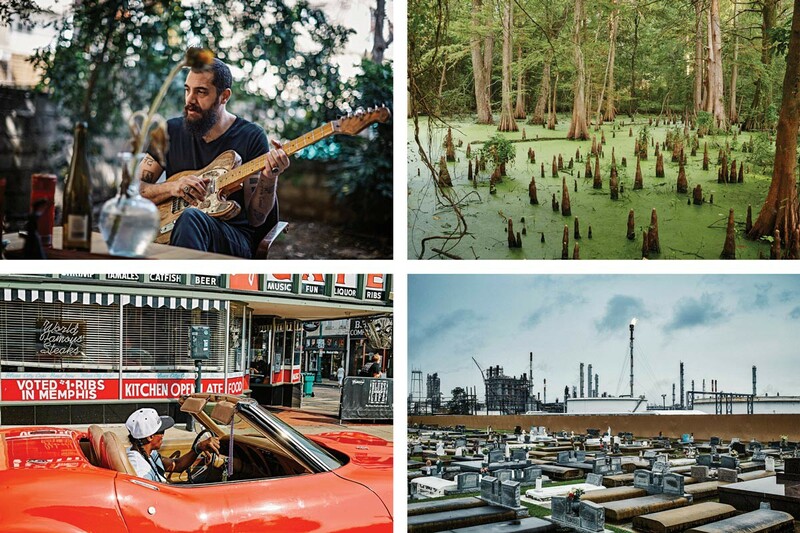 Profiling Beirut, Texas, Louisiana, Tennessee and Mississippi set the local music scene, while discographies and primers added background and context. 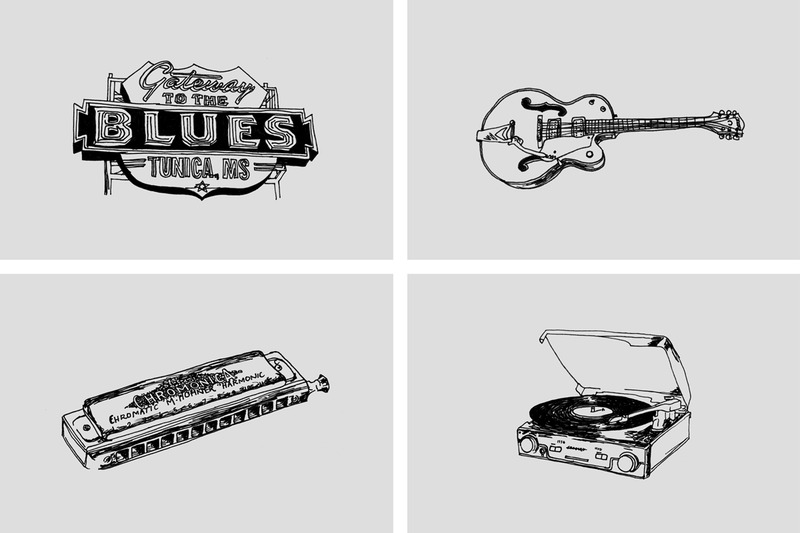 We touched on musical genres spawned from New Orleans to getting down and dirty at the juke joint. 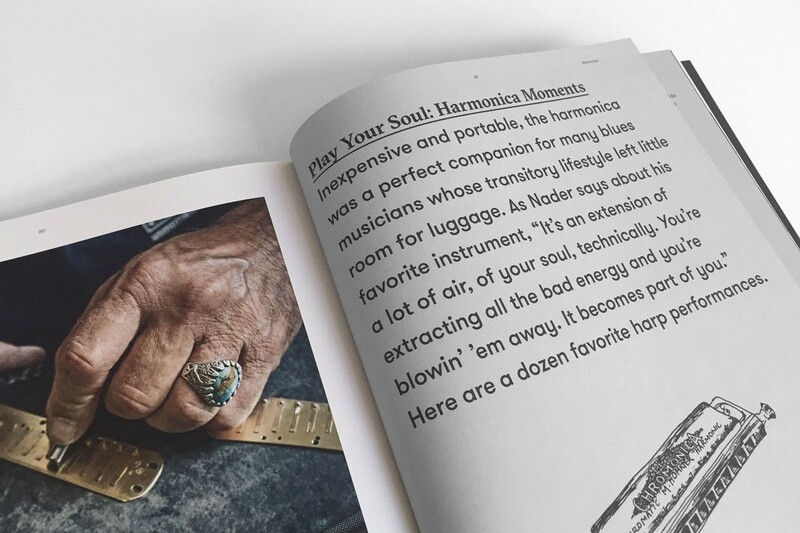 You can discover essential blues and gospel records or learn why the harmonica makes the perfect companion for travelling musicians. Rock and roll, bar fights and whisky bottles — The Wanton Bishops are kinda badass. The book had to visually encapsulate this and the raw, visceral sound of the musicians, without being overtly cliché. Some decisions were easy and irrefutable, such as choosing an uncoated paper stock to add natural texture and tactility to the pages. Others were tougher, like narrowing down typefaces and treatment. The lead singer Nader and his partner in crime have really different personalities, and I wanted to replicate that contrast typographically. I knew I needed two really distinct fonts that somehow fit perfectly together, and after trolling through folders of font collections, combined with trial and error, I found a pair that made the cut. When the book was really starting to feel like, well, a book, it was lacking an unrefined component. After a catch-up with illustrator friend Ngaio, I realised her hand-drawn style and obvious love of music might be just what The Bishops ordered. Delivering very quickly, her illustrations added a lovely, handcrafted thread throughout the story. You can watch the full film ‘Walk It Home’ on Red Bull TV. Thoughts on design and digital culture.